On April 28th 1869 David Mack donated the land (Pt. Lot 19, Con. 5 Rawdon Twp.) for a Wesleyan Church, a branch of Methodism, where the present building now stands. The citizens decided to combine their resources and build a house of worship. Although their own homes were of logs and money was scarce, the members were determined to have their sanctuary erected of the best material available, being brick. Jas. Vandervoort led the efforts to get the building erected and had enthusiastic supporters including the Totton brothers, Clancys, Macks, Jackmans, Maybees, Mortons, Hubbles, Gardiners, Hogles, Burgess, Hoovers, Snarrs, Taylors, and Dracups. The lumber was largely supplied by Elias McKim and the brick was probably from the kiln operated by Wm. Kyle on the 2nd Concession of Rawdon. attended Sunday School and Church regularily and enriched the church by their steady devotion. Robert Clancy is thought to be the first Sunday School Superintendent. For many years the pioneers felt that an organ was not a necessary church furnishing, so Robert Clancy, master of the local singing school led the music. The first coal oil lamp in the district was owned by Mr. James Vandervoort, who brought it to the sanctuary and put it on the pulpit. The minister found a vast improvement over the candle when he came to read the scriptures. On August 6, 1896, a lawn social was held on the brilliantly lighted school grounds. Marmora brass band was in attendance, and admission was ten cents. Wellman's Corners was noted for years for its annual lawn socials. Great crowds came from far and near in buggies and democrats to attend. After, the corners had long lines of teams tied to the fence. In those day, they made ice cream by hand, with plenty of pies, tarts, cakes, cookies, sandwiches, lemonade and tea. 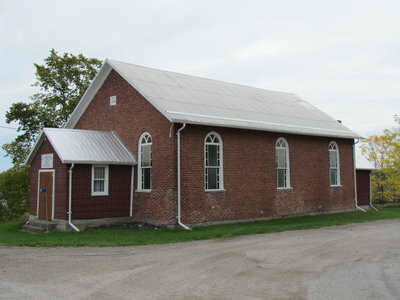 In 1925 the church became Wellman's Corners United Church, and in 1944 celebrated its Diamond Jubilee. 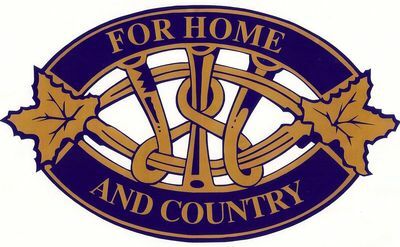 For seventy-five years, the members of the community and their forefathers had worked towards creating a better Christian spirit by joining in fellowship with God. Rev. T. F. Townsend was the minister. During these 75 years, there had never been a wedding in the church, the first one celebrated was in 1949. Rev. Vaclavik (1948 - 51) took it upon himself to paint in oils, a most inspiring picture of the "Good Shepherd" which today stills stands, a masterpiece in the building. In 1949, the porch and hall were added and in 1958, the church was renovated. The entire interior was refinished and a new oil furnace installed. In 1964 the shed was sold. In 1968 many rural churches were being closed and Wellman's was among them. Rev. W. C. Cox was the minister at the time and lobbied hard to keep it open. It had served the community for 99 years of dedicated service. The following year the members of the Wellman's Women's Institute purchased the building. Since acquiring the building, the Women's Institute have hosted many community events and special celebrations. It has also been available to community residents to use for personal events. In 2009 we upgraded the power voltage. Following a request in early 2014 to use the hall for a wedding, some sprucing up was in order. The families of the bride and groom initiated painting the exterior window frames and some of our members pitched in. As the soffits and fascia were too high for them, a man in the community, with scaffolding, came forward and volunteered to paint the high spots. While doing this he replaced the fascia and installed new eaves troughing, and ice dams on the roof. He also painted the roofs of the kitchen and front foyer. All materials needed were supplied by the Women's Institute. In the spring of 2015 the same man volunteered to gut and redo our kitchen. What an improvement!! Over the years our members have worked hard to keep the hall in the community and support different fund raisers that are necessary for maintenance and upkeep. In the fall of 2016 we planted 150 red and white tulips to commemorate Canada's 150th Anniversary and are planning to have a special event in May 2017.